Land and lots just sat on the market for years during the last economic down turn and now are a hot commodity on this hot market. What most people do not realize is that land is a much more complex transaction. How large is the property? Typically a lot is sold with an individual price for the entire parcel. Larger tracts are often sold at a price per acre times the number of acres. Properties in downtown areas with high density zoning are sold by the square foot, so a couple of inches will change the price. Come join us at our next Savannah REIA Monthly Meeting on Monday, July 11th at 6:30PM hosted by Aislee Jackson at the Hilton Garden Inn Savannah Midtown located at 5711 Abercorn Street, Savannah, GA. This is our main Savannah REIA Meeting for the month, so don’t miss it! Please be sure to invite your friends to join us at the meeting and to follow us on Meetup.com and Facebook.com. We look forward to seeing you at the meeting! 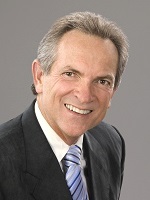 Jeffrey Williamson is the founder of J. L. Williamson Law Group, LLC. The firm specializes in tax planning and controversy, estate and business succession planning, asset protection, and elder law. Prior to starting his own firm, Jeffrey served as in-house counsel to two mid-sized accounting firms, but he began his career as an Internal Revenue Agent where he became well versed in the audit policies and procedures of the Internal Revenue Service. 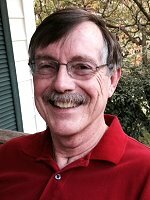 A frequent lecturer, Jeffrey has presented many seminars on taxation and estate planning issues to various civic groups and investment professionals. New investors often have lots of questions when it comes to evaluating a property and doing their due diligence. Questions like...How do I know if a property is a good deal or not? Should I do my due diligence before or after I get a property under contract? How do I determine the property's value before and after repairs are made? How do I determine how much repairs will cost? How do I check title? How much valuable information can I pull from public records? If you would like to get the answers to these questions and more, this is definitely an online meeting you don't want to miss!! Learn what "buyer beware" really means, register now and join us on Wednesday, June 22nd at 7:00 PM ET. Come join us at our next Savannah REIA Monthly Meeting on Monday, June 13th at 6:30PM hosted by Aislee Jackson at the Hilton Garden Inn Savannah Midtown located at 5711 Abercorn Street, Savannah, GA. This is our special guest speaker will be Chuck Phillips of CRS Data, so don’t miss it! Please be sure to invite your friends to join us at the meeting and to follow us on Meetup.com and Facebook.com. We look forward to seeing you at the meeting! If you take $1.00 and double it tax-free for 20 days it’s worth $1,048,576 (over a million dollars). Take that that same $1.00, taxed at 30%, it will be worth only about $40,640 -- A LOSS of a MILLION DOLLARS! Why is this so? Because with tax-free compounding, earnings accumulate not only on the principal amount of money but also accumulate on the tax-free earnings as well. ("Earnings on Earnings"). Thus compounding combines earning power on principal and earning power on interest. Compounding has been called the ”8th wonder of the world”, a “miracle”. Compounding money at high rates of tax-free return is a definite advantage of real estate, especially with a great tax plan. Perhaps you're a new real estate investor who has thought about using real estate comps to dive into real estate investing but have been hesitant due to a feeling that the market will collapse once you get in and you will lose all your money. Well rest assured; you are not alone. Fear touches every new investor; and no one successfully investing in real estate today would tell you otherwise. So let's address some of the most common fears and see whether we can help calm you and urge you to take the plunge into real estate investing.